Family Travel Blog : Travel to Lake Bled, Slovenia: The Most Beautiful Place in the World? Travel to Lake Bled, Slovenia: The Most Beautiful Place in the World? 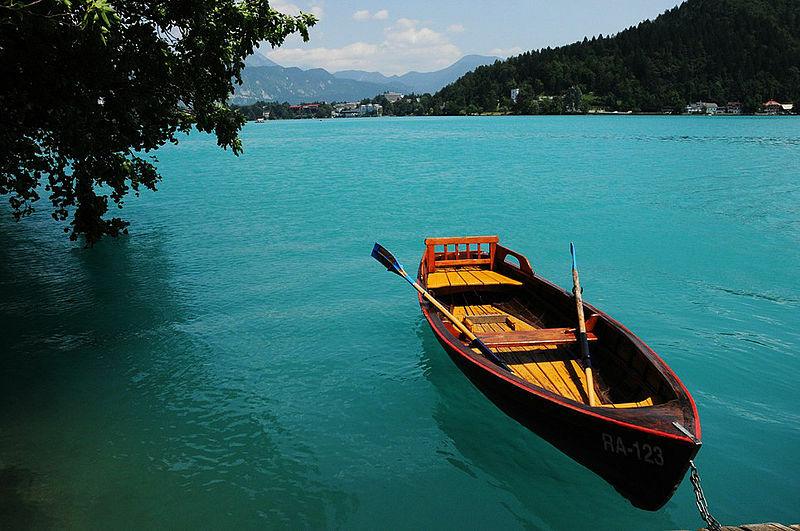 Lake Bled is located in the Alps of Northwestern Slovenia and has become quite a tourist attraction in the area. Some say that it may be the most beautiful spot in the world and from looking at pictures it is not hard to see why that is the general sentiment. It is a glacial lake, which explains the brilliant blue color. The lake itself is quite impressive but the real beauty comes from the area surrounding the lake. Forests, mountains, an intriguing castle, and a beautiful old church set right in the middle of the lake make you feel as though you are in a fairytale. The closest airport to Lake Bled is the Ljubljana International airport, about 22 miles away in the capital of Slovenia, Ljubljana. 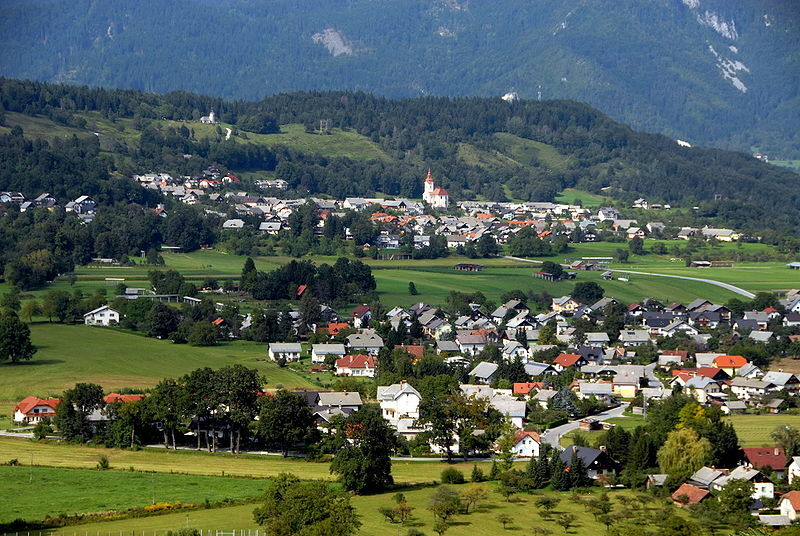 The village of Bled is located right on the shores of the Lake and is a beautiful, yet very small town. Tranquility and relaxation is unavoidable in this area. The town was established sometime around the year 1000, with the first mention of Bled Castle coming from the year 1011, truly a medieval, Mesolithic era town. Bled finally became an independent territory in the year 1996 after years of being under the control of many countries, in the area, over the years. It is a small, friendly village and where you want to base yourself for exploring the lake, castle, and surrounding wonders. There are many options for lodging in Bled, but perhaps the best way is to stay is in a mountain resort. A search will reveal many options from backpacker to luxury, for singles to families, and every option in between. The only difficulty is choosing between all the amazing options. On the lake there are plenty of water activities to fill your days. Fishing, boating, golf, horseback ridding, hiking, swimming and rowing can all be enjoyed during the spring, summer, and fall. There are also options for thrill seekers; hot air balloon rides over the lake and toboggan rides down a 500M track. The winter also provides the opportunity to ski and hike or simply relax in your villa admiring the view. You should also try and explore Bled Castle and/or rent a row boat or a gondola ride out to the island to explore the church, gardens and small shops. Both the castle and the church are architecturally unique and fascinating to visit. For more nature, you can also head over to the stunning Vintgar Gorge and admire the beauty while safely walking a series of bridges and walkways. Bled is known for its mild climate all year round and it is partly because of this that it has become such a big tourist mecca. A snowy background makes for some lovely photos but limits water activities, while the summer months, with it's mild temperatures, are also a perfect time to visit. It's an idyllic village in a breathtaking setting conveniently located for an easy holiday. It's not hard to see why Lake Bled is gaining the reputation for one of the most beautiful places in the world. I'm sorry I really don't have any recommendations. Try agoda or booking perhaps. Good luck!